The prime minister’s own “scramble for Africa” is reaching its climax. 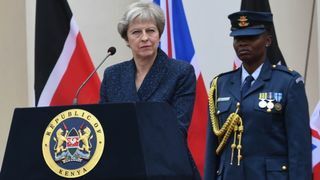 After arriving in Nairobi late at night, Theresa May endured another packed schedule in Kenya, culminating with a bilateral meeting and state dinner with president Uhuru Kenyatta. Her tour overall has been productive. 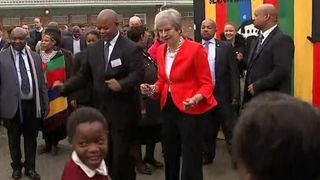 In Cape Town, she announced the South African and British governments have agreed to roll over EU preferential trading arrangements to Britain after Brexit. It is, in effect, our first trade deal – albeit one which simply carries over what we have already. In Abuja, the prime minister said the Nigerian government agreed to a new security partnership designed to clamp down on domestic terrorism. And in Nairobi, there were announcements on cybersecurity and warm words on our post-Brexit partnership. But there have been stickier moments for the Prime Minister too. It is clear – despite my best efforts – that Theresa May will not answer the question as to whether she thinks Britain will be better off or more powerful in the world after Brexit. I asked her repeatedly in Cape Town; I asked her again in Kenya. Again and again, despite point blank, yes or no questioning, she refuses to answer. She talks repeatedly of the “opportunities” of Brexit, of executing “the will of the British people” but she can never bring herself to confirm that she believes Brexit will make Britain better – or even that it is a good idea. Other politicians – I suspect fundamentally less honest politicians – would dextrously sidestep the question or (whatever their private views) implore that “yes! The sunlit uplands await!”. Her refusal to do so so many times must, I think, inevitably lead us to conclude that she thinks the opposite. In other words, the British prime minister – uniquely in history – is pursuing a cardinal policy in which not only does she not believe, but that she thinks could do her nation harm. Her Remainer backbenchers will see it as vindication of her pusillanimity, her Brexiters as vindication of her view that she is a Remainer in Brexiter clothing. In raw policy terms too, the picture is mixed. 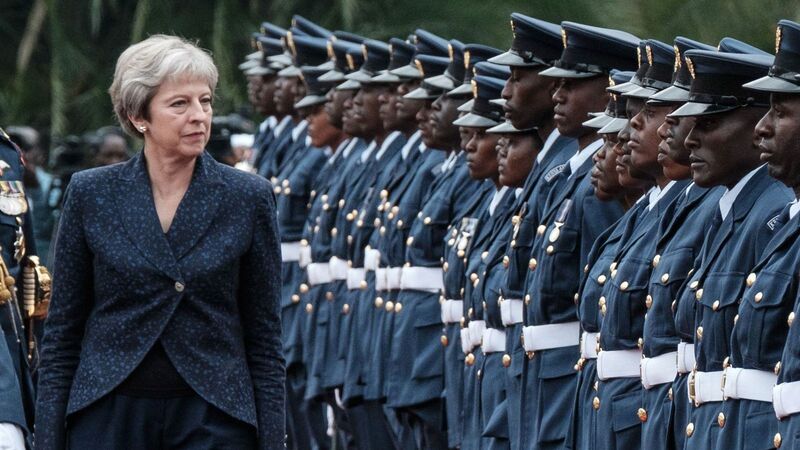 Theresa May wants to show that Britain has a bright future in emerging markets, like Africa. But there are four important caveats. Firstly, African trade is a tiny percentage of our exports. The three countries she has visited this week only account for £17.5bn of our trade. Compare that with £240bn with the EU. Even belting top-drawer trade deals or big percentage increases in trade between Britain and Africa will not fill even relatively modest gaps in reductions of European trade flow. Secondly, there is a question in any case, of whether much expansion will be possible at all. African economies are growing quickly – they are diversifying, no longer reliant only on agricultural products but expanding into services and technology, too. But this is a long process. Nigeria is now Africa’s biggest economy and its most populous. It is developing fast – but walk around Lagos even for half an hour and you can see profound poverty. It is a long way from becoming nearly as developed as even the least developed European state. Indeed the economy of the whole of the African continent does not – in sum – equal that of France. Our specialities of services and advanced manufacturing aren’t necessarily the most important sectors for countries like Nigeria in the coming years. Moreover, its legal systems and ease of doing business are far removed from that which many British firms are accustomed, especially by comparison with the uniform regulation of the European single market. Thirdly, Britain may eventually find itself on the wrong side of future African trade negotiations. At a time when Britain is divorcing itself from an economic trade zone, many African states are trying to marry up. Regional customs zones have either been created or are in the process of creation, some of which have ambitions for a common currency and single market – not entirely dissimilar to the EU. 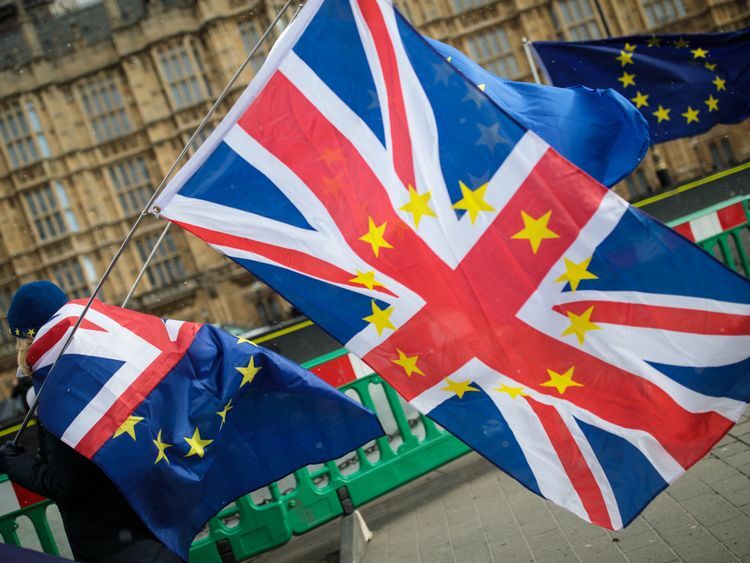 Britain may find itself on the less powerful side of the table during any trade negotiations, with countries against which it has long thought itself dominant to. And fourthly and finally, Mrs May is not the only poacher in this reserve, far from it. There is a new global “scramble for Africa” – from China (hosting an enormous Africa-China economic forum next week), the US and the EU itself. 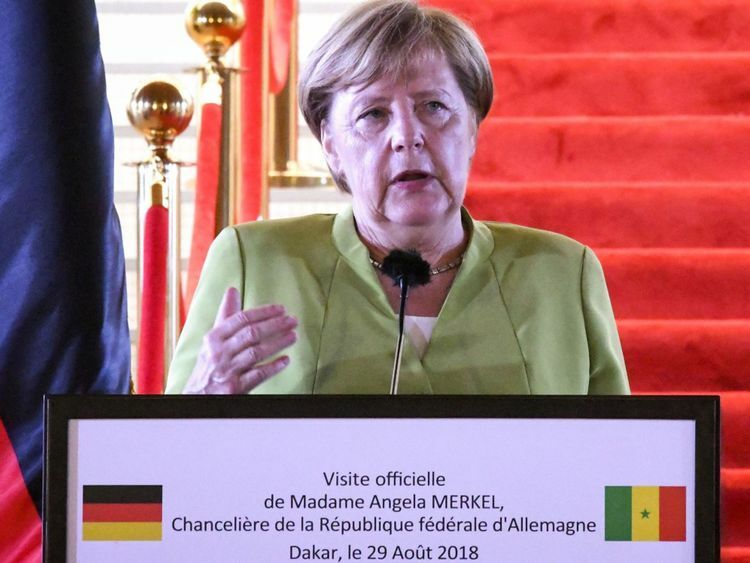 German Chancellor Angela Merkel has been conducting her own parallel Africa tour this very week. The Kenyan Standard newspaper carries a cartoon today with Mrs May entering the room while President Kenyatta sat around a table playing cards with Donald Trump and President Xi of China. With all the will in the world, it is not clear, in a world of big trade blocs, that the prime minister, that any British prime minister, will be able to play, at this top table.